Recent incidences of young, neglected horses being dumped dead or dying have prompted Zoetis to warn of the risks of larval cyathostominosis. 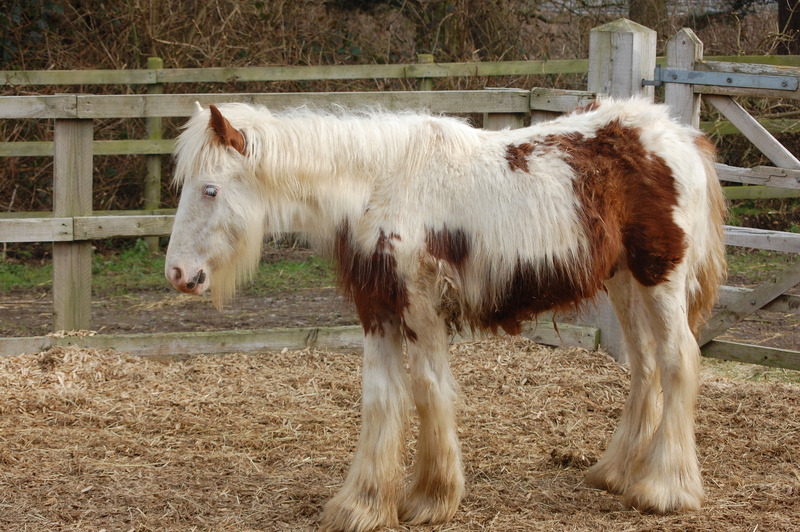 This potentially fatal disease is caused by excessive burdens of encysted small redworm, from which neglected and abandoned horses are often found to be suffering. Encysted small redworm (ESRW) are the hibernating larval stages of the small redworm that bury themselves in the horse’s gut wall. While every horse is at risk of encysted small redworm and associated diseases such as cyathostominosis, animals less than five years old or those with previously poorly managed burdens are the most susceptible. During autumn and winter, when environmental conditions are less favourable for small redworm larvae to develop on the pasture, the proportion of encysted larval stages within the horse’s gut wall gradually increases. Instead of continuing their normal development within cysts in the gut wall, larvae stop developing and enter a hibernating state where they are known as encysted small redworm. In horses where pasture management has been poor and worm control has been inadequate, large encysted burdens can accumulate. ESRW larvae typically emerge from their cysts in early spring when environmental conditions improve. Larvae re-emerge into the lumen of the gut where they finish their development into egg laying adults. Mass emergence of ESRW can cause severe damage and inflammation to the gut lining resulting in the disease syndrome ‘larval cyathostomonisis’, Once clinical signs of the disease are evident, there is a 50% mortality rate, despite treatment. Incidence is higher in horses less than five years old and in the spring. “Typically, horses of around two to five years of age appear to be at the greatest risk,” explains Dr Wendy Talbot, National Equine Veterinary Manager at Zoetis. “We still don’t know exactly why this is the case and both a reduced or increased immune response to the dangerous larval stages of the redworm have been suggested as a cause’. Larval cyathostominosis can also occur following treatment with a non-larvicidal wormer, i.e. one that is not effective for the treatment of the larval stages of the small redworm. While such a wormer will kill the more mature stages of ESRW, it will subsequently encourage the larval stages to progress with their emergence, potentially causing cyathostominosis. * The young horse pictured was taken in and rehabilitated by Blue Cross. Encysted small redworm won’t show up in a faecal worm egg count. Horses can harbour several million larvae yet show negative or low FECs. Treat every horse for encysted small redworm once a year. Ideally, treat in the late autumn or early winter, but certainly before spring. Horses under five years old are at the highest risk. Beware of resistance. There is widespread evidence of resistance in small redworm to fenbendazole, including the five-day dose, so a resistance test is recommended before using it. Keep redworm under control in summer. Organise regular FECs from early March until October. Treating according to the results will help keep redworm under control and reduce the risk of large hidden encysted burdens forming. Use faecal egg count reduction tests during the grazing season. This involves taking a FWEC immediately before and two weeks after worming to assess the level of worm eggs being shed. Be rigorous with pasture management. Daily poo-picking, regular rotation and resting of fields and cross-grazing with sheep or cattle will help keep pasture worm burdens under control. Seek veterinary advice: If you have a vulnerable young horse showing any clinical signs, speak to your vet before using a wormer.